Find Nz Couriers Tracking | NZ Couriers Milton Contacts | NZ Couriers Milton Address Drop Off Point| Near Me | NZ Couriers Milton Branch Details | Care and Complaint Posting . 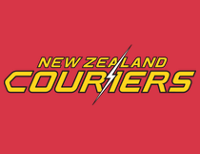 Direct contact to NZ Couriers Milton is Agent/Post Office Mobile No. (03) 4468129. Enter your AWB/Parcel or Post No. Or Tracking Id at below Tracking Box after selecting Courier Name. NZ Couriers Milton is address/location at Howart Auto Services Ltd T/A Caltex, 137-139 Union Street, Milton,Dunedin. Find Online Tracking , Custoner care, Toll Free number, Contact,Mobile Phone and address and serviceable area at the bottom of this page.